James (Jimmy) Benson Page formerly of Santa Barbara passed away on January 20, 2016 in Las Vegas, Nevada where had had been living the past 20 years. Jimmy was born on November 16, 1946 at Cottage Hospital in Santa Barbara. He was the son of the founder of Mission Linen Supply, Mr. George Benson Page and his wife Marian (Fahey) Page. Jimmy attended Roosevelt Elementary school, Santa Barbara Junior and Senior high schools, graduating in 1965. On December 1, 1966 he joined the US Army and completed his basic training at Fort Ord, California. He spent most of his military career in South Korea. He graduated and obtained a business degree at Woodbury Business College in Los Angeles, California and than went on to work in the family business of Mission Linen Supply, where he travelled extensively and loved walking through the locations and visiting with all the employees. In 1995 he moved to Las Vegas, Nevada and ran Mission Industries using the same guiding principles his father used. He retired in 2011 when he sold Mission Industries. He was a sun-loving energetic man who loved water sports and especially scuba diving which he did in many countries all over the world. He kept his diving boat “Papillion” many years at the Santa Barbara harbor and spent every weekend he could with friends and family on it. He also had a house in Cabo San Lucas, Mexico where he loved to go to and relax. 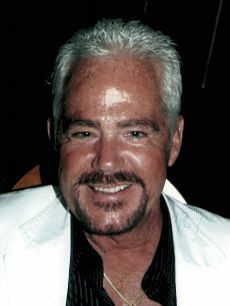 Jimmy is survived by his daughters Tondi Page and his grandchildren Elijah and Diandra Medina of Goleta California, Sydne Page Keller (Mike) of Westlake, California, Ruth Page, mother of his daughters also from Goleta California, sister Linda Page McGaughey (Tim) of Santa Barbara, California and Nashville TN. He also leaves behind his niece Kathy Gallagher Stuva and her children Natalie and Tanner Guerra, nephew Nick Katzenstein and his wife Melissa and daughter Emilia, niece Page Plowman and her husband Joe and children Presly, Lucy, Carter and Joseph. We will miss Jimmy’s wonderful smile, the mischievous twinkle in his eyes and all his great stories, as well as his endless generosity. Our hearts are broken and we now have a huge void without him in it. Jimmy will be dearly missed by all! A “Celebration of Life” was held February 1, 2016 in Las Vegas, NV. A memorial is currently being planned in Santa Barbara, California in the near future.